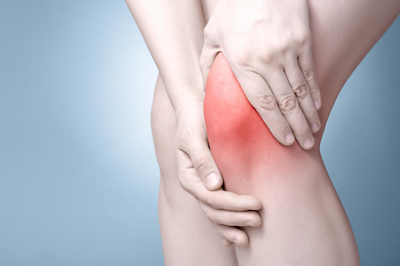 Any joint that suffers an injury has the potential for developing post-traumatic arthritis (PTA). There are several forms of PTA, including post-traumatic osteoarthritis (PTOA) and post-traumatic inflammatory arthritis (PTIA). PTOA involves wearing away of the joint cartilage, which is the cushioning material on the end of a bone forming part of the joint. PTIA is caused by an inflammatory process, thought to have been initiated during the acute injury phase. What is Post-traumatic Arthritis & What are the Symptoms? PTA is a common development after any direct injury to the joint with or without direct damage to the joint surface. Injury to a joint leading to development of PTA is common in many types of injury cases, such as those involving a fall, car crash or bicycle collision. A single injury may be sufficient to create its onset, but it is known that repeated injuries and excess body weight increase the likelihood of onset. This debilitating complication may develop following fractures of upper extremities, including the fingers, hands, wrists, elbows and shoulders. It is also common in lower extremity fractures of the ankle, knee and hip. PTA may occur shortly after injury or it may manifest itself years later. The acute phase often resolves in several months, but in many cases the condition does not improve and is considered a chronic condition if unresolved within about six months. PTOA is the most common form of chronic PTA, with injury to the ankle and knee being associated with the highest probability of it developing. In fact, some experts believe there is almost a 60% likelihood of developing PTOA of the knee following a traumatic knee injury. PTOA may also develop from injury to the joint ligaments, meniscus and articular cartilage (chondral injuries). Symptoms of PTA include pain, swelling, and limited range of motion. Treatment options continue to evolve and typically involve symptomatic relief. Pain complaints can be quite acute, limiting one’s activities of living. It is estimated over 5 million Americans suffer from complications of PTA. Yet surprisingly, this future development is not routinely addressed by doctors when they give their final assessment of a patient in an injury case after the patient has reached maximum medical improvement (MMI). This means the patient’s lawyer must be proactive in requesting the physician to express their opinion about the future likelihood of developing PTOA. In one case involving a patient who suffered a severe ankle fracture requiring surgery, the medical records and final note regarding MMI made no mention of the probability of future PTA. We arranged for a telephone consultation with the surgeon to address the issue. The surgeon referred to an article he felt was authoritative, which set forth the likelihood of PTA following joint injuries. Based upon our specific request, the surgeon gave a written opinion the patient had a 60% chance of developing PTA. We were then able to use the opinion in arguing the full value of our client’s injury. If you've been injured in an accident please feel free to contact us online or call our office directly at 888.815.6398 to schedule your free consultation.